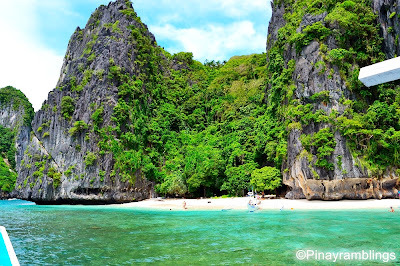 Palawan holiday is not complete without basking under the summer sun and snorkeling in turquoise waters of El Nido. So much for expecting “summer sun”—it almost never happened due to nasty typhoon last August. Nevertheless, I still had tons of fun during my 3 nights stay. Lucky for me, I got a good break from rain on the third day. El Nido is a small fishing village north of Palawan, Philippines. To get to El Nido, you will need to take an hour plane ride from Manila or take a six hour van/bus ride from Puerto Princesa City. Since I was already in Puerto Princesa, my only option is to take a bus or a van. Six hour bus ride is a bit much especially if you are riding a bus through muddy rough roads. I decided to hire a van instead. It costs 8,000 pesos (USD 181) one way but after haggling with the driver, he agreed to 6,000 pesos (USD 140) but wait there’s a catch—I will have to hire him again on my way back to Puerto Princesa city for the same price and he asked for 50% advanced payment for the return trip. So it's 12,000php total back and forth. 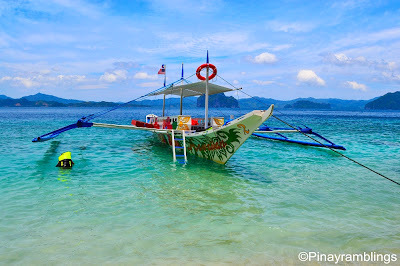 I stayed at El Nido Beach Hotel for USD 55/night with free breakfast. 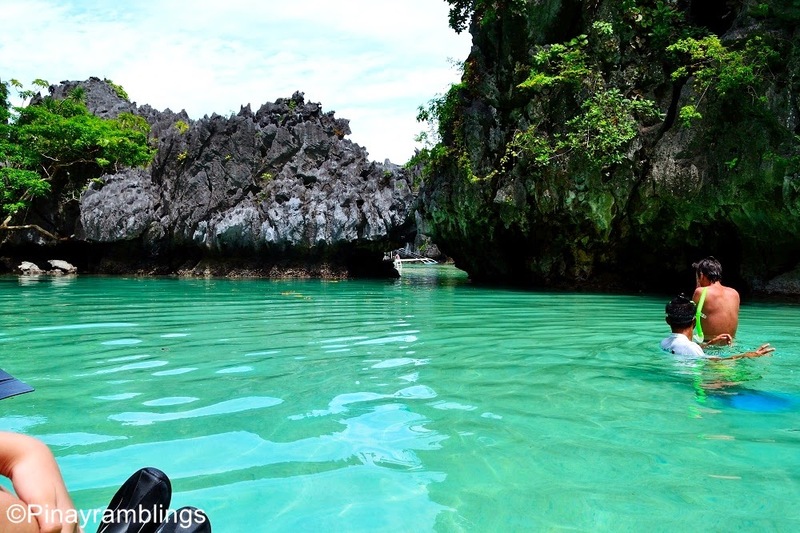 It has a great view of the ocean and the massive limestone cliffs. I can’t imagine a much grander view than this. On my third day, I got a good break from heavy rains and thunderstorm. I met Hawaiian boat tours owner Mr. Stafford Montgomery early morning and he helped me set my tour for the day. 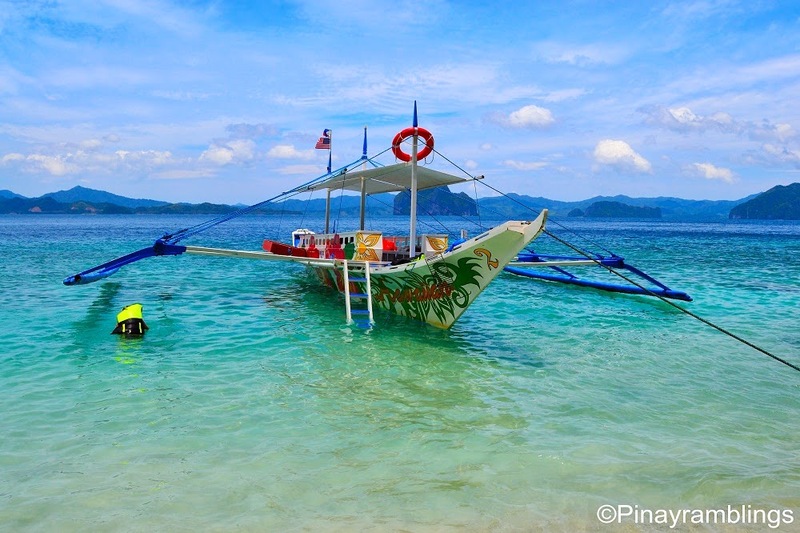 His boats are one of the best in El Nido. They are fairly new and safe. 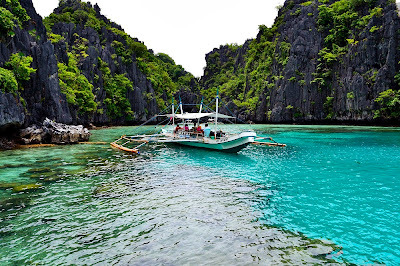 For only 4,000 pesos (USD 91) for 1-3 persons, I get to go island hopping with free lunch. 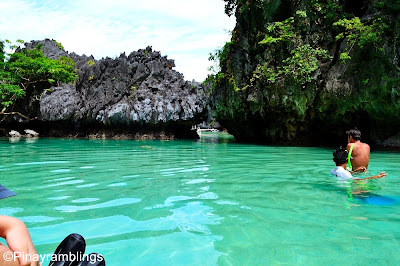 First stop is Big lagoon. 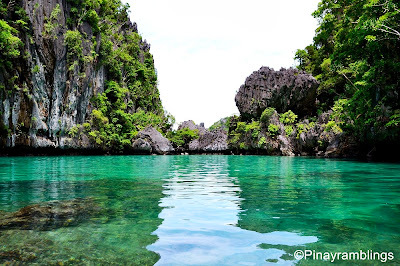 It is where a scene in the movie 'Bourne Legacy" was filmed. 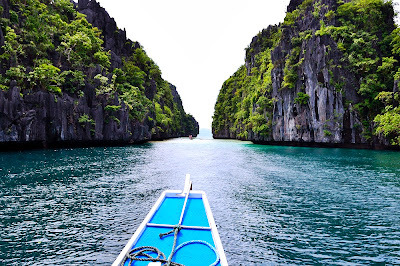 First thing I want to do when I saw this beauty is to jump off the boat and swim but the tour guide told me to stay on the boat and wait till we reach a shallow part. 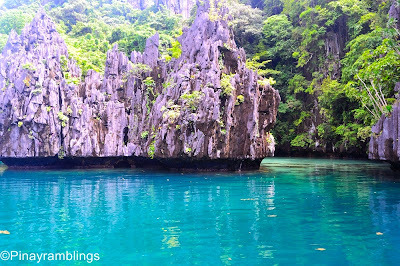 The water is amazingly vivid and inviting and oh so full of marine life! It reminds me of the movie "The Beach". 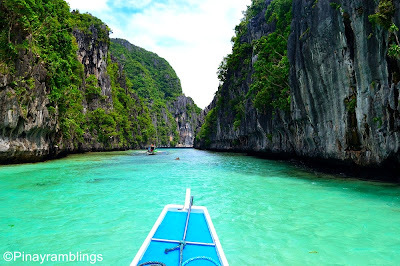 It is surrounded by massive limestone cliffs. We then proceeded to Shimizu Island to have lunch. So while I was having fun snorkeling, the whole staff were cooking lunch. 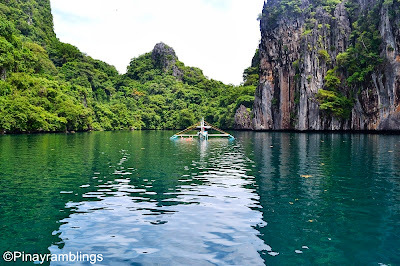 After a sumptuous meal of steamed crabs, tropical fruits, steamed rice, chicken adobo, grilled unicorn fish, and Chopsuey, we boarded the boat again and headed to Small Lagoon. 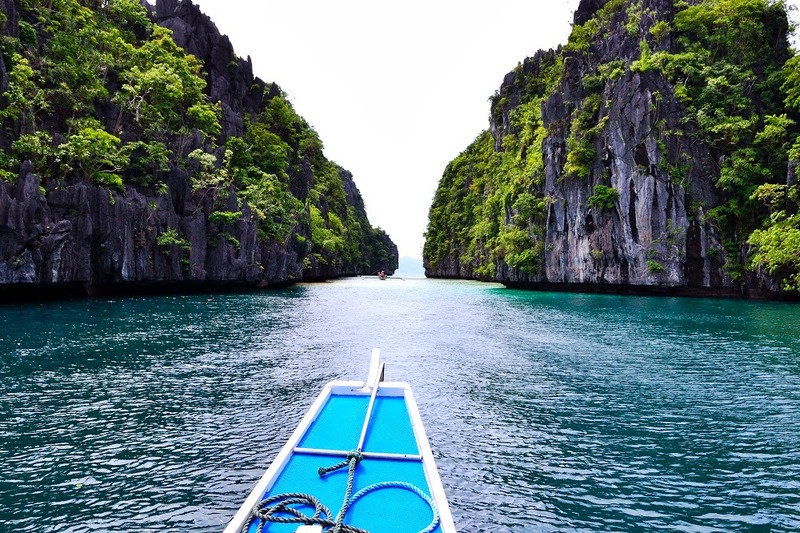 You will have to get off your boat and swim through the hole or you can bring a kayak with you. Beware of territorial fishes on the way in as they can get real nasty. I was bitten twice and it hurt so much I let out a loud embarrassing scream thinking it was a baby shark lol. 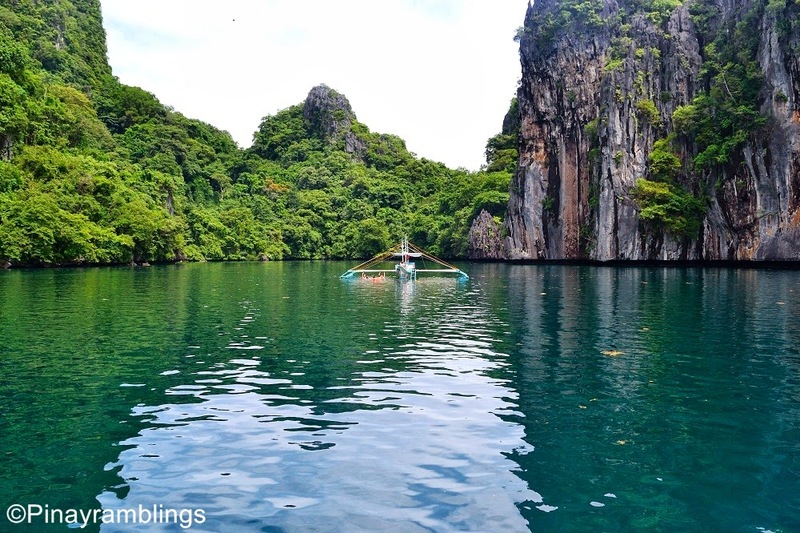 You will be rewarded by this awesome view inside the lagoon. 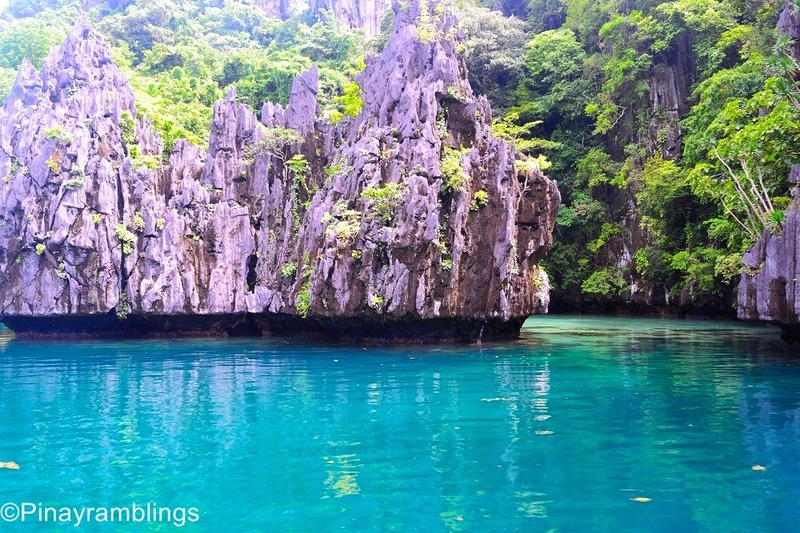 Have fun swimming in this crystal clear water of Small Lagoon! Our last stop is Seven Commando Beach. The final destination after a long day of island hopping. After 10 mins of swimming, it started raining again. The boat captain decided that we head out of there asap to avoid beating huge waves on the way back to the hotel. The other boats full of tourists packed their things and headed back to mainland as well. It was such a fun day and I wish I can do it all over again soon! Hello! I saw your post and you have lovely pictures. I hope you won't mind if I post it in TripAdvisor.